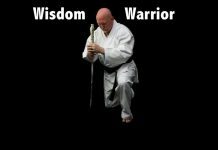 One of the world’s highest ranking martial artists, Grandmaster Richard Morris is 9th Degree Black Belt in American Karate, Tae-Kwon-Do, and is the founder of Shizen-na Karate. He has trained and ranked with Jhoon Rhee, the Father of Tae-Kwon-Do in America, and his lifelong teacher is J. Pat Burleson, the Father of American Karate.Richard has also trained with and studied in several martial arts systems with many legendary martial artists, including: his father, James P. Morris, Ed Daniels, Ace Sukigara, Robert Koga, Mike Stone, Joe Lewis, Bill Wallace, Jim Harrison, Chuck Norris, Bob Wall, Demetrius Havannas, Raymond McCallum, Skipper Mullins, Allen Steen, Jim Butin, Billy Watson, Carlos Machado, John Machado, Brad Rehor, George Baker, Howard Jackson, and many others. As one of the original Texas Gladiators and Fort Worth Texans in full-contact Karate Kickboxing, Richard Morris was inducted into the International Karate and Kickboxing Hall of Fame, the same day as the legendary Bruce Lee was posthumously inducted in 1985. He is a devoted husband and father of two advanced black belts. As a Fort Worth Police officer for thirty years, Richard has served as a patrol officer, detective, defensive tactics instructor, chaplain, peer counselor, and now sergeant. As a retired United Methodist Pastor, Richard enjoys sharing his love of Jesus Christ with others. He has been teaching Karate for thirty-six years and was instrumental in establishing the police defensive tactics training program in Fort Worth, which has been a model for other police departments all across the nation. Richard has trained federal agents in the Federal Bureau of Investigation; US Secret Service; Drug Enforcement Agency; Alcohol, Tobacco, and Firearms; and more. Richard has been trained by the US Secret Service in Executive and Dignitary Protection. He has been called upon to protect a full range of celebrities, such as government officials and movie stars. 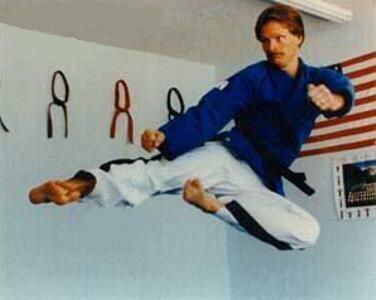 As a member of World Black Belt, Richard has trained American Airlines pilots and crews in self-defense following the 911 tragedy. Formerly with Zig Ziglar Seminars, Richard Morris is a highly sought-after and dynamic motivational speaker and has taught tens of thousands of students as well as taught self defense courses and seminars to more than a hundred thousand people across the US and Mexico. He has shared the platform with President Bill Clinton, Chuck Norris, and Zig Ziglar. He has been featured on ABC Niteline with Ted Kopple, CNN, Good Morning America, World News Tonight, NBC Nightly News, and many others. While Richard Morris has appeared in four movies (such as Sidekicks with Chuck Norris and Born on the Fourth of July with Tom Cruise) and several television commercials, his love is spending time with his family and teaching others. Richard Morris is widely known for his principle-based teaching, and is the founder of the style Shizen-na (Natural Karate). While Richard Morris currently trains with and teaches police officers, professional boxers, wrestlers, and mixed martial artists, most of his teaching is to professional people who just want to be able to protect themselves and get in great shape. Richard Morris was the founder of the National Bruce Lee Scholarship Tournament (from 1985-1990) and the Youth Enrichment Skills Program of America, Inc. (The YES Program). He had served on the Texas Commission on Physical Fitness and Sports, and now serves with Chuck Norris on the Kick-Start Program. 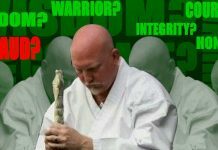 He is a founding member of the American Karate Black Belt Association and the World Martial Arts Ranking Association (both under Pat Burleson), the World Martial Arts Congress for Education (under Jhoon Rhee), the Carlos Machado Jiu-Jitsu Association, and the ranking member of the United Tae-Kwon-do Alliance.